The runout to to the finish line at the Troy Howard Middle School 5K course is a straight 75 meters. Runners approaching it appear over the top of knoll come down a slight curved incline and enter the gauntlet of waiting fans. But at this time of year the sun is in the eyes of spectators. But still it shouldn't have been a surpise. 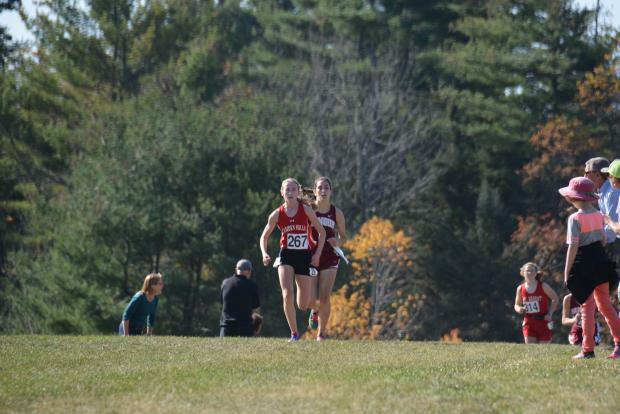 She's won on this course before; she took the Freshman Girl's title at the 2015 Festival of Champions with a time of 19:03, a personal best until today. 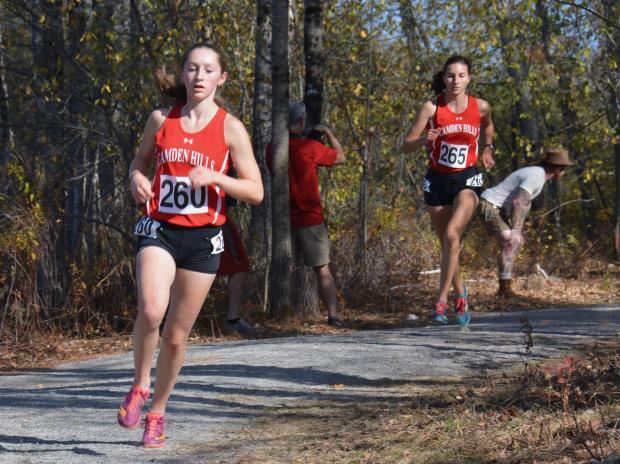 At this year's Festival of Champions she was 10th in the girls seeded race and served her own notice again with a 19:04 as Camden Hills served notice on the rest Maine and a good chunk New England. 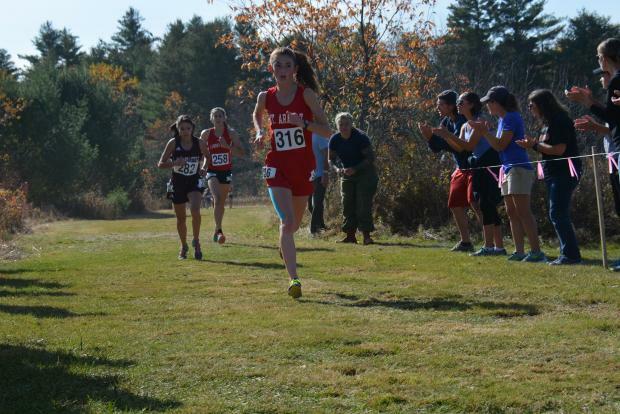 She took second place on the brutal hills of Cony at the KVAC Championship just last week so this should't have been a surprise. In fact, saving Festival, she has come in second in every race this season with only one person in front of her: teammate Grace Iltis. That's five races and five runner-up finishes. Maybe that's it, the five second place finishes. So perhaps when the Camden Hills fan standing by the fluttering flags cordoning off the finish area squinted into that sun and said, "Here comes Grace now!" she can be excused for taking a moment to recognize Augusta Stockman. The junior came into the retention pond loop with a shade less than half a mile to go, nursing a thin lead and knowing that the race was going to be won one of the two teammates. With the race more than half over the pair had established a solid lead over a mini chase pack consisting of Mt. Ararat's Karlie Leighton, EL's Jillian Richardson, and a third Windjammer, Miranda Dunton. And the lead Iltis then held over Stockman looked fairly comfortable--15-20 meters and consistent with the leads she'd held last week at KVACs and the week before at the Camden Invitational. 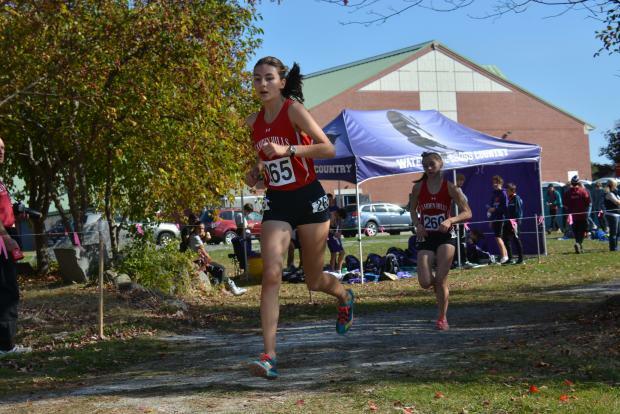 For the rest of the girls racing in the 2017 Northern Maine Class A Regional meet, it only mattered that Camden Hill was taking one and two, not which one had the top spot. 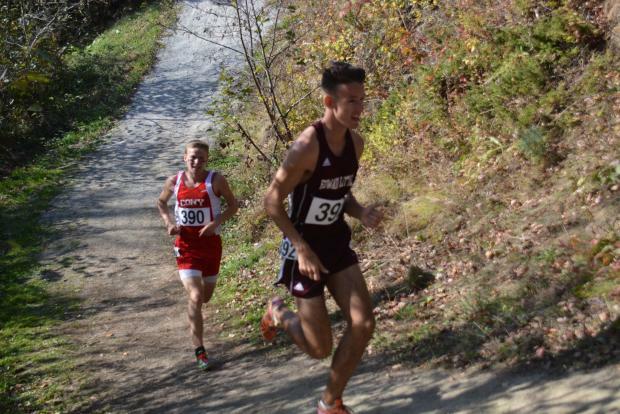 Stockman would win, setting a new PR of 18:35 and end with a 13 second margin over Iltis (18:48). Camden would close the scoring with just 25 points as Miranda Dunton ended in the 4th position. Claire Wyman took 8th, and Rose O'Brien closed the scoring in the 12th spot. But the rest of Class A should take note of how much better Camden's four and five runners did. This race was against the exact same field as the KVAC last week. Camden had a great team race at KVAC but still finished with 40 points as their fourth runner finished 15th and their fifth finished 16th. The push by Wyman to 8th and O'Brien to 12th will come in handy next week when Gorham, Falmouth, Greely and Bonny Eagle are in the mix. Some might ascribe this to the absence of Mt. Ararat's stalwart Katherine Leckbee who missed the meet because of a nagging foot injury that had clearly hampered her at the KVAC meet last week, but even adjusting for that Camden still got better. Following the Windjammers in making the cut for the state meet were Mt. Ararat with 80 points, Brewer at 119, Brunswick with 137, the Rams of Bangor at 153, and just making the cut were the other Rams of Cony. 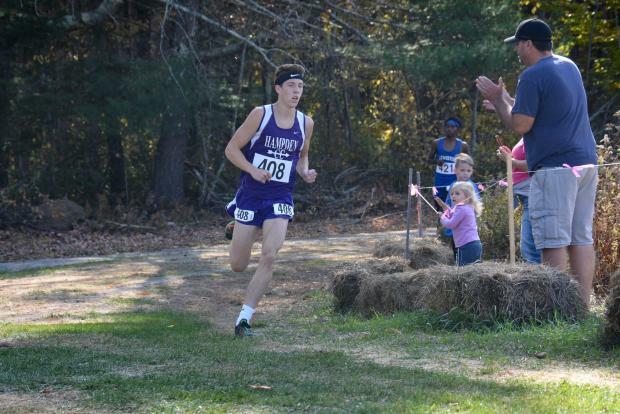 Finishing out of the money was Hampden as Edward Little, which had six runners last week at the KVAC meet, only started four, while Skowhegan, which has dealt with roster issues much of the season started just two. In Leckbee's absence, Mt Ararat was led by first years Karlie Leighton (3rd), and Camila Ciembroniewicz (9th). Brewer's top runner was Olivia Mosca (6th), while Isabella Pols (13th) paced the Brunswick Dragons. Bangor's scoring was led by Lydia Gilmore (10th). Also taking top ten spots were EL's Jillian Richardson (5th), and Kahryn Cullenberg (7th) of Mt. Blue. Though their teams won't advance Richardson and Cullenberg will be at Twin Brook by virtue of their top-thirty finishes. Like the girls race the boys quest for team supremacy remained stable; the teams expected to advance to states did so, and in nearly the same order as they finished at KVACs last week. 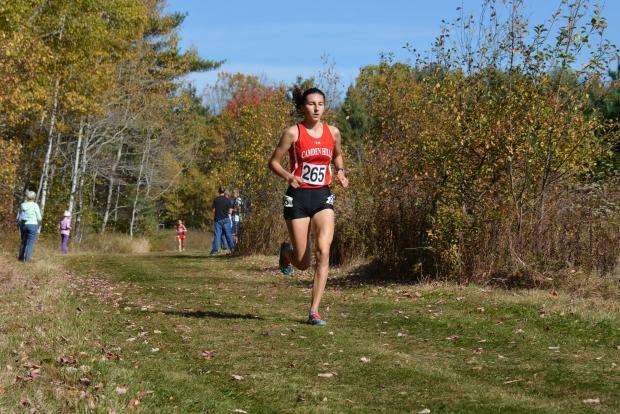 Lewiston and Cony flip-flopped with the Blue Devils moving into the 6th position, primarily based on Abbas Muktar's move from 17th at KVAC to 9th at Regionals. 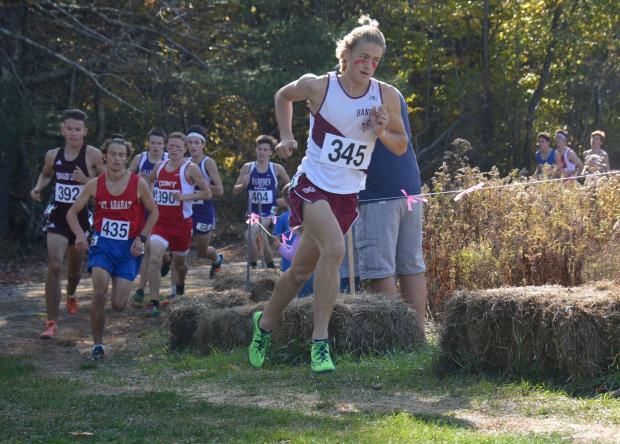 But Wyatt Lord's 3rd place finish led Hampden to the team title with 52 points edging the Bangor Rams at 67. Mt Ararat (81), Brunswick (113), Mt. Blue (141), Lewiston (156), and Cony (161) also qualified for the State meet. Individually the boys race also showed a lot of stability. The top four--Lisandro Berry Gaviria of Mt. Ararat, Gabe Coffey of Bangor, Wyatt Lord of Hampden, and Dominic Sclafani of Oxford Hills--remained the same. The pattern of the race was familiar too with Lord leading early and Berry-Gaviria holding back through the first half of the race. Belfast's renowned gollywhoppers, a series undulating gullies just after a straight away over a playing field just shy of the 2.5 mile mark presents an opportunity for strong hill runners to make a last move before the final stretch. But there was little excitement in the gollywhoppers at the front end of the race. Berry Gaviria entered alone and in the lead. He was followed one after another by Coffey, Lord, and Sclafani each of them alone. The first duo to come in together were Hampden's Connor Glowa and Grahme Sokoloski; the two went neck and neck to the finish line with Glowa just edging Sokoloski for the 5th spot. EL's Russell Allen and Cony's Caleb Richardson also came through together just on the heels of Abbas Muktar. 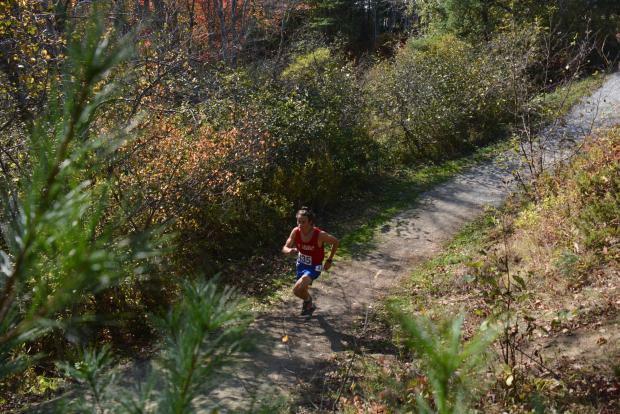 Allen took the 7th place, Richardson 8th position, Muktar 9th, and Bangor's Patrick Fraser rounded out the top ten after making up some ground on a pair from Mt. Ararat. Berry-Gaviria's winning time of 15:53.37 was a new personal best for the sophomore. It's no surprise that he put up a season's best at this course as Mt. Ararat has stayed away from the showcase events on fast courses this year and none of its natural regional opponents have what might be called speedy courses. 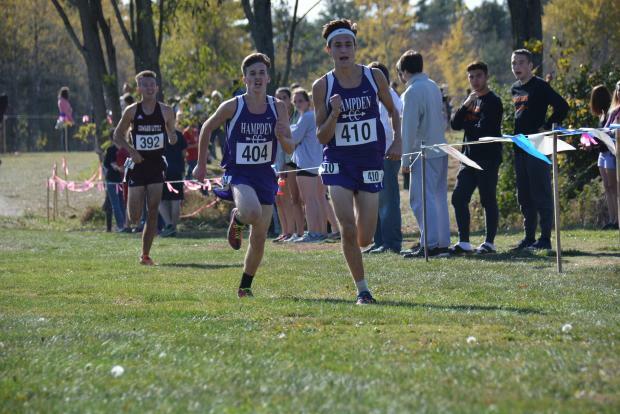 Even so, he was 42 second better than his season's best this year and eclipsed the 16:27 he had put up in last season's State meet at Belfast by a healthy 34 seconds. Coffey's 16:05 also represented a new best. Brunswick was led by Cam Ashby (14th), Mt. Blue by Sam Stinson (19th), Lewiston by 9th place Muktar, and EL by Richardson in 8th. Oxford Hills won't go as team but Sclafani will be there wearing the green of the Vikings by virtue of his high finish. The top thirty places from each race go to states regardless of their team's performance. A complete list of who will go to states as individuals can be found here.